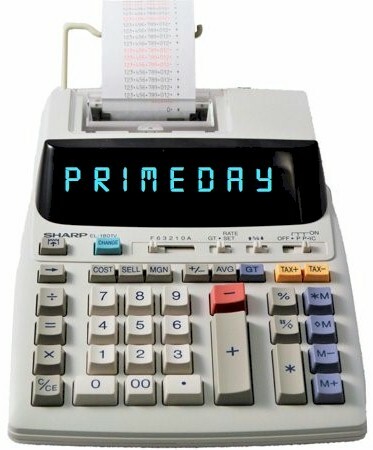 Prime Day begins at 12:00 p.m. Pacific Time (3:00 p.m. Eastern Time) on 7/16/18 and will last 36 hours, through 7/17/18. That's TOMORROW, friends. My husband has already set up the coffee and Diet Coke IV for me. I'm primed (pun-intended), locked, and loaded to get you the very, very best Prime Day deals. 1) There will be literally MILLIONS of Amazon deals floating out there on Prime Day. Make sure you have an easy way to stay in touch with Daily Cheapskate and get the best deals! You can also join the DailyCheapskate Facebook page and follow Daily Cheapskate onTwitter. 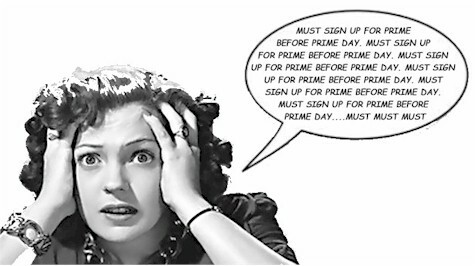 The email blast that goes out each day will help, but I have to be honest with you: many of the Prime Day deals you see on there will (alas) already be expired once you receive the email, so even if you are already on the email list, I would strongly suggest a second way to follow the Prime Day deals, (like the What'sApp Broadcast List). 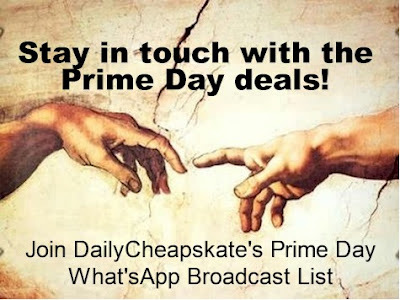 Once Prime Day starts tomorrow, I cannot promise that I will have time to add subscribers to the What'sApp Broadcast List, so make sure you subscribe NOW! 2) Not a Prime member? No worries. Prime Day deals are for Prime members only, but that doesn't mean that you need to shell out $119 dollars for an annual Prime Day membership to join in the fun. Sign up for the FREE 30 day Amazon Prime trial here. Are you a student? Sign up for the FREE 6-month Amazon Student trial here. Receiving government assistance, like EBT, TANF or Medicaid? 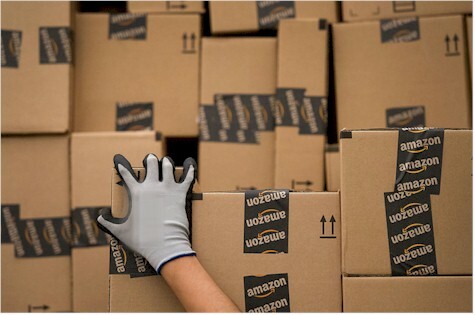 Sign up for a month of Amazon Prime for $5.99. Already exhausted your Amazon Prime trial and not ready to commit to a year of Prime? I hear you. Sign up for one month of Prime at $12.99 here. Check to see if you're eligible for this special American Express free Prime membership offer here. 3) Plan your purchases! While there are always amazing, unplanned deals that come up on Prime Day, don't go into Prime Day with at least some idea of what you would like to buy and how much you would like to spend. Budget! Have a specific dollar amount limit for what you will spend on Prime Day and keep to it, no matter how great the deals might be. Make a list, check it twice: Make a list of things you would like to see go on sale on Prime Day. The list doesn't have to be item-specific (i.e. baby wipes, a 40" HDTV, curtains, paper towels, school supplies, headphones). Having a list will help you stay focused on Prime Day. Pick out a book. Or two: every Prime Day thus far has seen a special deal on a physical book on Amazon. Last year, the book deal was $5 off $15. This year, given the 36 hour length of Prime Day, there will almost certainly be at least one, or possibly even two book deals. Have in mind in advance which book you think you would like to buy. Low-hanging fruit: Check out my list of items that are certain to go on sale on Prime Day and add the items that you need or would like to your shopping list. That's it for now. Make sure you tune in here tomorrow at 12:00 p.m. Pacific time for Everything Prime Day.